Srinagar, Sep 13: Train service was on Thursday suspended for security reasons in north Kashmir, where an encounter ensued between militants and security forces in apple township of Sopore this morning. However, the train service was running normally in south Kashmir, a senior railway official said. 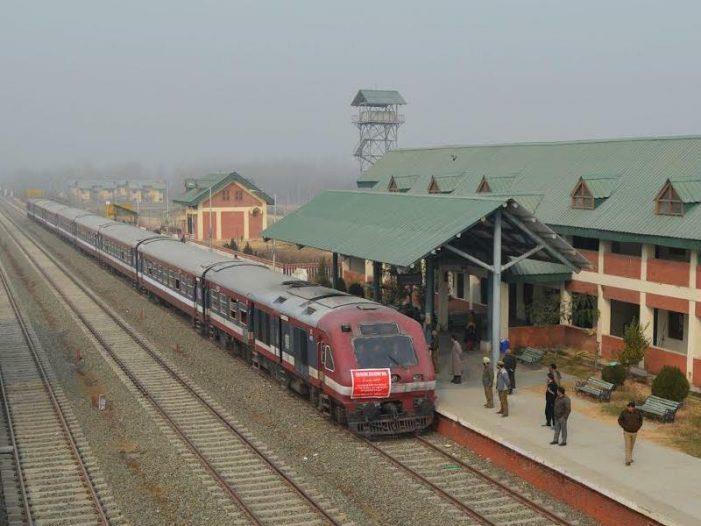 'We have received an advisory from the police and administration to suspend train service from Srinagar-Badagam and Baramulla in north Kashmir,' the official said. No train will chug on this route today, he added. Meanwhile, large number of passengers who had arrived at different railway stations were disappointed after they were informed that all trains have been suspended for the day owing to security reasons. Trains will chug on Badgam-Srinagar-Anantnag-Qazigund in south Kashmir to Banihal in Jammu region. Train service has become very popular in the Kashmir valley as it is very cheap, fast and safe against other mode of transport.